Teenagers will be teenagers, however when their physical and emotional health is at risk, parents need to be parents - immediately. Parents are the anti-drug. Parents should be parents first and friends second. This latest game, 'vodka eyeballing', which different theories link the trend back to British tabloids or Vegas nightclubs, is back. There are two ways people can do it. The first is with a shot glass. However, because the name of the game is all about getting drunk quickly, some people just take a bottle of booze and pour it straight to the eye. According to News4Jax, "It can lead to severe and ultimately permanent blindness," said Dr. Amit Chokshi, a local ophthalmologist. What can parents do? Talk to your teens. Education and communication is the key to prevention. Be Too Smart to Start. Gossip. At first glance the word may reflect ugliness of rumors and hurtful words towards another person or incident. However gossip can also be a way to build relationships when you aren't being malicious about it. 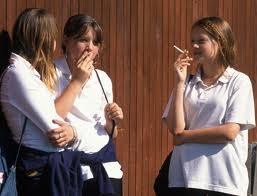 Teens love to gossip too. Gossip can seem like fun until you are its target. There’s something enjoyable about talking about other people among your friends, but when you are the one being talked about, it’s not easy. Part of growing up and maturity is learning empathy, an understanding of how your actions and words make others feel. It’s not easy to stand up to gossips in your social group, but you might be able to change the subject or make a joke about the person spreading the rumor to break the cycle. What prompts an 11 year-old fifth grader to commit suicide? What drives them to a closet with a belt to end their life? What could possibly be so bad that you cannot go on living? It comes back to that horrible world of bullying! In Florida we have heard these bullying stories too often. In October 2009 Michael Brewer, 15 year-old, was nearly burned to death by other teens. 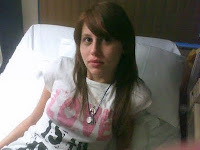 In March of 2010 Josie Ratley, 15 years-old, was nearly beaten to death. In April 2010 Anthony Jones, 16 year-old, was shot and allegedly on a text hit list. Now we have an 11 year old in Port St. Lucie, Florida, that felt life, just over a decade long, was too difficult to deal with. Celina Okwuone was found in her bedroom closet by her parents. Police say she used a belt to wrap around her neck and she had wrapped the belt around the metal shelving. Her father tried to lift her up and her mother tore the shelving from the wall. As Josie Ratley turns a page in her recovery, she will need the generosity and support of the community to help her family as they prepare for her to come home. According to Jowharah Sanders, founder of the National Voices for Equality, Education & Enlightenment, http://www.nveee.com/ (pronounced "Envy") and spokesperson for the Ratley Family, "There is a list of items the family will need at this time from the basic medical supplies, educational item, and a new home that will allow the family more space for a child whose primary form of transportation is now a wheelchair and a walker." Electronic interactive learning items with batteries. The items include a Leap Frog learning Pad or leap Frog Computers and DynaVox EyeMax Educational Systems. With the recent trial taking place in St. John's County, Florida of the mother that served alcohol and drugs at her home with teens, that resulted in two teens losing their lives in an auto accident, should have all parents thinking twice. Teens and drinking is a serious concern - it is a fact, it is illegal for teens to drink in the United States under the age of 21. The statistics are sobering. In a recent national survey of more than 2,500 eleventh and twelfth graders, 90 percent of teens believe their counterparts are more likely to drink and drive on prom night and 79 percent believe the same is true for graduation night. Being a teenager can be difficult. Keeping up with the trendy clothes, hair styles and hanging with the cool group is all part of being a teen in high school today. However when it comes to teens with special needs, having a friend is one of the hardest parts of going to high school. Circle of Friends is changing that one school at a time. 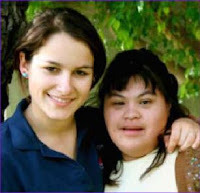 Circle of Friends is a social skills programs for teens and adults with disabilities such as autism, through understanding, acceptance, friendship and inclusion. Going into local high schools, teens are changing lives. They provide valuable support and friendship to those with disabilities. Teens and adults that were once isolated and lonely with their disability are now experiencing living through Circle of Friends. From a simple phone call, to going out to eat, Circle of Friends is providing a sense of normalcy to people with disabilities. Who is Emily? She was a beautiful young 16 year-old that lost her life in school shooting after being held hostage. As her parents were frantic, her father thought to text her while she was in being held hostage. The response was chilling and loving, yet this was Emily's final communication to her family as she was killed shortly following the message. (Must watch video). 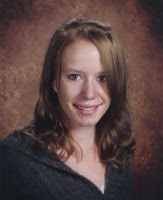 Her parents, John-Michael and Ellen Keyes created a foundation in her memory promoting school safety. "I Love U Guys" is a foundation that is helping schools, helping students and helping communities. During the time she was held hostage, Emily sent her parents text messages... "I love you guys" and "I love u guys. k?" Emily's kindness, spirit, fierce joy, and the dignity and grace that followed this tragic event define the core of The "I Love U Guys" Foundation. We are hearing more about childhood obesity and teen obesity. More and more teens and kids are technically connected however not getting outside and exercise! Summer is almost here and it is time to get involved in physical education. During Physical Fitness Month, take the time to learn more about staying healthy and eating right. Did you know that May is National Physical Fitness and Sports month? What better time than the present to begin to help your teens understand the value and benefits of being physically fit. And thanks to the Army National Guard's Guard Fit Challenge, helping your teen set and achieve fitness goals has never been easier. What is high quality child care? "It is all about interaction" says Parenting Expert, Michele Borba. "Warm supporting caregivers that give good quality cognitive stimulation is part of quality child care providers," she continues. 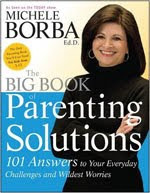 Dr. Michele Borba, Parenting Expert and Author, was featured on Today Show with Ann Curry on the new study just released and breaks down new findings that credit teens' high test scores to the high quality of day care during their younger years. (Watch video below). The federally funded study, which has been tracking more than 1,300 children since 1991, found that obedience and academic problems among those who received low-quality care in their first 4 1/2 years of life persisted through their 15th birthdays, suggesting the potential for lifelong difficulties. These results underscore the importance of interaction between children and their daytime caregivers according to experts. Sue Scheff: Teens and Caffeine - Good or Bad? 17-year-old Byron has a stack of 430 empty cups. He slams down around two large, caffeine-loaded energy drinks every day. "It hits my brain in about 11 seconds," he says. "I've timed it." 19-year-old Pam has ten caffeinated drinks a day. "I probably have three cups of coffee," she explains, "and the rest, soda." Text4baby has several partners and their media partner is MTV. Perfect match. Why? 16 and Pregnant, Teen Moms and Dr. Drew. Although most know that getting pregnant in your teens is not easy, these shows explore the reality of the hardships as Dr. Drew explains the emotional sides of why this is happening. Registration is easy and can be done online here or from your cell phone. Simply text the word BABY (or BEBE for Spanish) to 511411. You'll be asked to enter your baby's due date or your baby's birthday and your zip code. A series on ABC News, What Would You Do, explored this exact issue and the results were shocking. 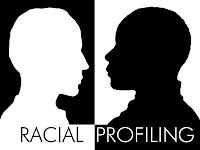 It is a common form of racial profiling and actually has a name, shopping while black. This type of profiling is still happening today. Watch the video and you won't believe your ears or eyes. Teaching tolerance to our teens is part of parenting. Although in some cases, it is clear our teens have to educate our parents and especially our grandparents. Thinking back to the last presidential election, there were elder white people that simple wouldn't vote for a colored man. Yes, that word came up more than we realize. It is was the generations of years past. Unfortunately there is still some racism that exists with some people. Whether it is your grandparents or parents, adults from prior generations have a harder time accepting all walks of life. Children today are more likely not to see color, race, religion. Sue Scheff: Surfing, Skateboarding, Swimming and more - What About Summer School? Yes, summer is about here. The final report cards will be coming in and parents will be determining if their teenager needs to attend summer school. With budget cuts in local schools, and the cost of private tutoring, this can be a challenge. However as most parents know, education is key to our children's future. It is important your teenager has goals and aspirations for their future. If they are in need of summer help, checking into local resources that offer assistance. The Broward Educator website may have an interest that perks your teen up. Florda Smart website is part of the Broward County public school system that offers numerous magnet programs, special education centers, and after school programs. You can also find summer programs listed. Florida Virtual School is free to Florida Residents! This may be a great option for parents that need to enhance their teens GPA or even just get them caught up academically. They offer certified and caring teachers. Every day, your child and teenagers are exposed to advertising - not just on TV and online, but on buses, buildings, and even inside their classrooms. Many ads target kids ages 8 to 12. Given what kids see and hear around them, it's important for them to know how to decode and understand ads. 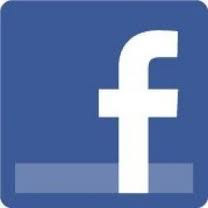 As the nation's consumer protection agency, the Federal Trade Commission, (FTC) is responsible for enforcing laws that prohibit unfair and deceptive advertising and marketing practices. It brings cases, issues guidance to businesses, and educates consumers about their rights. Consumers can file a complaint or get free information about consumer issues at ftc.gov. 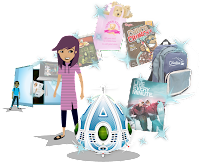 Recently the FTC launched Admongo which helps educate kids with a behind the scene look at what advertising does.